As part of a larger initiative to educate dog owners on proper nutrition, effective training, and other ways to raise a happy and healthy dog, the Dogington Post is reviewing products, toys, foods, treats, and rescue organizations for our second annual Dogington Post Awards! We’ll present the nominees in several categories. And, YOU, our readers, will have an opportunity to vote on your favorites, to help us choose a winner! Nominees from each category for the Dogington Post Award have been selected based on strict criteria including dedication to animal health and welfare, providing the very best quality ingredients, and dedication to improving the lives of our dogs. Each of our Best Dry Dog Food nominees are manufactured in North America-based facilities, with thoughtful sourcing, handling, and processing of the foods we feed our dogs every day. These brands are dedicated to improving the health and vitality of our pets through carefully selecting ingredients, providing nutritionally complete foods, and utilizing manufacturing facilities and procedures with the very best interest of dogs in mind. Since 1988, Merrick has been raising the bar for the entire pet food industry. With a long-standing tradition of manufacturing premium dog food and treats with only the finest ingredients, Merrick uses only real whole foods that are locally sourced and processed as little as possible to create one of the highest quality, best tasting, and most nutritious dog foods on the market. 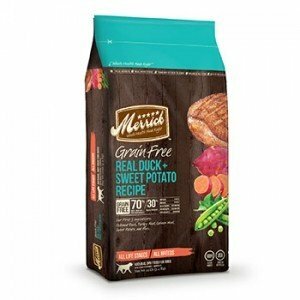 Their 4 grain-free recipes: Real Chicken & Sweet Potato, Real Buffalo & Sweet Potato, Real Pork & Sweet Potato, and Real Duck & Sweet Potato, all use real meat as the number one ingredient with fresh produce like sweet potato, peas, and apples as natural fiber, mineral, and antioxidant sources. The Merrick Grain-Free line is easily digestible, providing excellent energy benefits without upsetting sensitive systems. This ultra-premium line of grain-free dry dog food is beneficial to all breeds in all stages of life. In addition to providing our pets with the highest quality, tastiest recipes possible, Merrick is dedicated to changing the entire pet food industry as we know it. 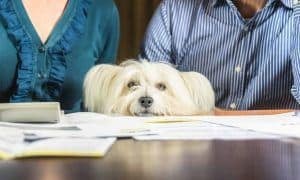 By setting standards high above the norm and educating consumers on proper pet nutrition, Merrick is a driving force behind an improving pet food industry. 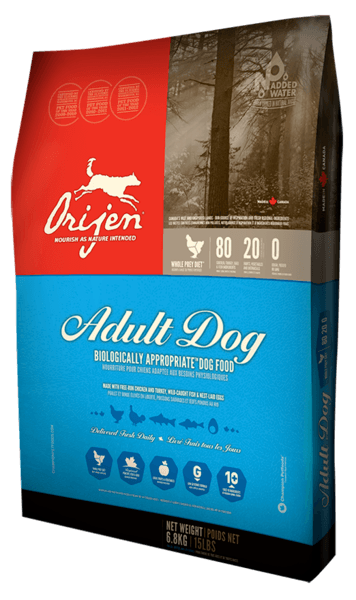 Orijen is dedicated to making Biologically Appropriate dog food from fresh, local ingredients. Their philosophy takes an evolutionary approach to nutrition, focusing on fresh meat and protein-rich diets. All their ingredients are raised with sustainability in mind, by local farmers, and delivered to their Alberta, Canada kitchen every day. 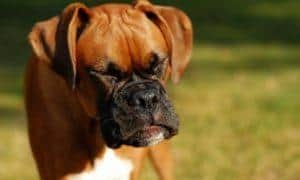 Champion Pet Foods, the makers of Orijen and Acana dogs foods prepare their own foods in their own kitchens – they are never outsourced. This allows them to control every detail from cooking to packaging and quality control. And they have been doing it for over 25 years. 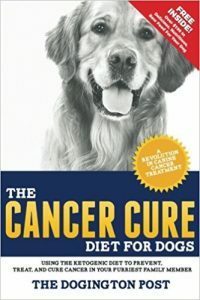 Orijen believes that Mother Nature evolved all dogs as carnivores, designed to thrive on a diet of whole meats with smaller amounts of fruits, berries and grasses. Their formulas are loaded with meat, low in carbohydrates and grain free. With ingredients like cage-free chicken and turkey, walleye, herring, nest-laid eggs and local fruits and vegetables, Orijen’s formulas are designed with your dog’s health in mind. Since 1904, The Fromm Family has maintained a tradition of quiet innovation dedicated to the health and nutrition of animals. 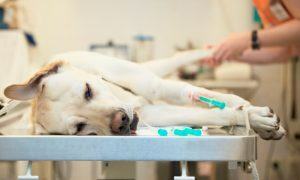 In the 1930’s, The Fromm Family introduced the first canine distemper vaccine. In 1949, they introduced the concept of premium pet food to the public. 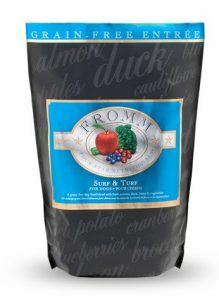 As the country’s first and oldest premium pet food company, Fromm has a reputation as an industry leader, producing only the highest grade pet foods with the finest natural ingredients. Based in Wisconsin, Fromm Family Foods is now in its fifth generation of being family owned and operated. All of Fromm’s dry pet food and treats are prepared in small batches in the USA at their own USDA-inspected plant in Wisconsin. They don’t include any ingredients from China in their recipes – all ingredients are sourced in the USA, fresh and delivered daily to their plant. They don’t include corn, wheat, or by-products and use real, fresh meat as the first ingredient. With Four-Star recipes like Pork & Peas, Salmon Tunalini, Surf & Turf and Beef Frittata, your dog’s dining experience will never be the same again! Here’s Something to Smile About! We’re Giving Away 25 Bags of Merrick Dental Chews! I am now not sure the place you are getting your info, however great topic. I must spend a while learning more or figuring out more. Thanks for fantastic info I was on the lookout for this info for my mission. Please don’t trust the “dogfoodadvisor” website! The ‘star rating’ and the data are completely inaccurate. 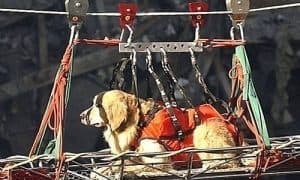 Many people, including me, have been unfairly banned from the site and our posts were unfairly deleted without providing a reason.iT IS OBVIOUS THE ONLY REASON WAS BECAUSE HE WANTS TO PROVIDE BIASED INFORMATION AND PEOPLE LIKE ME WERE PROVIDING EVIDENCE ABOUT TRUE SCIENCE CONTRADICTING HIS DATA AND AGENDA ON DOG FOOD NUTRITION. MIKE IS NOT OPEN FOR A DIALOGE. 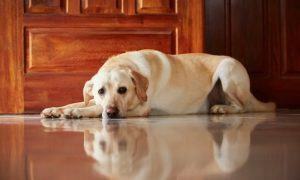 HE HAS BLOCKED MANY VETERINARIANS WHO POINTED OUT ERRORS IN HIS REPORTS. It is obvious that Mike Sagman blocks people from attempting to provide unbiased information. Yesterday two people were banned and their posts deleted for no legitimate reasons other than he obviously doesn’t like when people expose the truth.fOR INSTANCE ONE PERSON STATED THAT EARTHBORN USES VITAMINS FROM CHINA, AND IT IS TRUE! WHY DELETE THIS POST?-BECAUSE IT IS HIS FAVORATE COMPANY. HIS TOP CONTRIBUTORS CAN SAY WHATEVER THEY WANT ABOUT COMPANIES AND NO MATTER HOW WRONG THEY ARE HE DOENS’T DELETE THEIR POSTS USUALLY BECAUSE THEY ARE SELF-SERVING TO HIM. Please don’t believe him when he says these INNOCENT people did anything wrong-including me.I did nothing wrong and nor are these people, I HAVE NEVER MET THEM HE INCLUDES ME IN SOME OTHER PEOPLE’S ACCUSATIONS FALSELY STATING THAT NUMEROUS PEOPLE WHO WRITE SIMILARLY WOULD BE THE SAME PERSON, BUT IT IS ALL AN ASSUMPTION. He lets his top contributors, co-workers call other people names and bully them, be rude but you are not able to politely express your opinion, if it contradicts theirs.LOTS of people have been speaking up about this site,please don’t trust this SITE AND LISTEN, IT IS NOT ALL THE SAME PERSON, THERE ARE PROBABLY TEN TO TWENTY PEOPLE WHO LEFT POSTS AND KEEP TRYING TO INFORM PEOPLE ABOUT THE SCAM ABOUT THIS SITE.People on this site posting such as Mike and his contributors have only little experience in dog nutrition and their star rating is wrong! More and more people keep speaking up about this site since there is so much lying going on and misprepresentation. It is true that Mike is manipulating his site and the reviews. And I’m not all these other identities he accuses me of being and no one has ever posted fraudulently I’m aware of. People CAN legally use an alternative email address especially if they are unlawfully banned and have been bullied. This is certainly ‘no intent to defraud others’. Then he claims when someone’s email would not work it is ‘fraud’, but how about a misspelling? Interestingly, all these accusations happen only to people who are his critics..hmmmmm…. 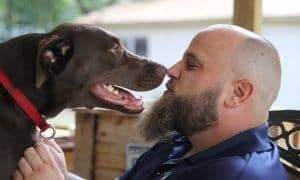 Please don’t trust this site’s information.Mike is a dentist not a nutritionalist and should not consider himself to be an expert in the field of dog nutrition, he is not.Ask your veterinarian:Your dog doesn’t need more than 20-30% meat protein and plant protein,peas, etc are ok too and all animal protein contained of amino acids are found in plants. So these ideas of so much meat and that dogs are like wolfs etc. is not the way they portray them, scientifically. Their data is usually completely misconstrued.When they quote scientific studies and you actually read them someting completly different is usually going on.Please don’t listen to them about vaccination schedules or if you should fix your dog or not.Please get a shelter dog and don’t listen to their bullying when people recommend to get a shelter dog.FOR EVERY DOG BRED A SHELTER DOG DEAD! Hounddog used to feed LIVE RABBITS to her dogs! YES, LIVE rabbits.That says it all.If you are a true animal lover please don’t listen to them. PLEASE SPEEK UP. ON FACEBOOK, ONLINE AND MAKE PEOPLE AWARE OF THIS SCANDALOUS SITE PROVIDING VERY BIASED INFORMATION. 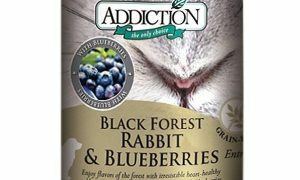 The ( BACK TO BASICS ) brand food I feed my Furry Friends is rated five stars by the ” Dog Food Adviser ” and other sites. I don’t believe there is a better food on the market, they have several different recipes available. The wet and Dry food we feed our Dog’s is ( BACK TO BASICS ). Healthy and they love the “pork” in it. My 3 Amigos love the Lamb, Rice & Apple & The Texas Beef & Sweet Potato. Ive used Fromm & Orijen & my dogs now have ingredient allergies from those to foods so were back to Merrick the 2 about that doesnt have salmon meal or chicken & they are thriving! Have only used the merrick grain free buffalo and my 2 love it. I love Fromm Family Foods, they are still family owned and operated, they make their own food and their food only, great customer service, and they sell to the little independent retailer. My Gia eats Merrick Grain-Free Duck and Sweet Potato plus a variety of the Merrick canned foods. 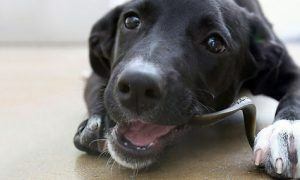 She licks the bowl! We only use Wellness! The senior is loaded with the supplements those senior pups need!! We love EVO weight maintenance both our cat and dog. Kirkland lamb and rice and canned food…..
We’ve never tried the others, just Merrick pork & sweet potato. My 3 love it. My 5 love all Merrick grain free recipes. Not only made in USA but all ingredients source from USA. No ingredients from China. To my knowledge no others can say this.